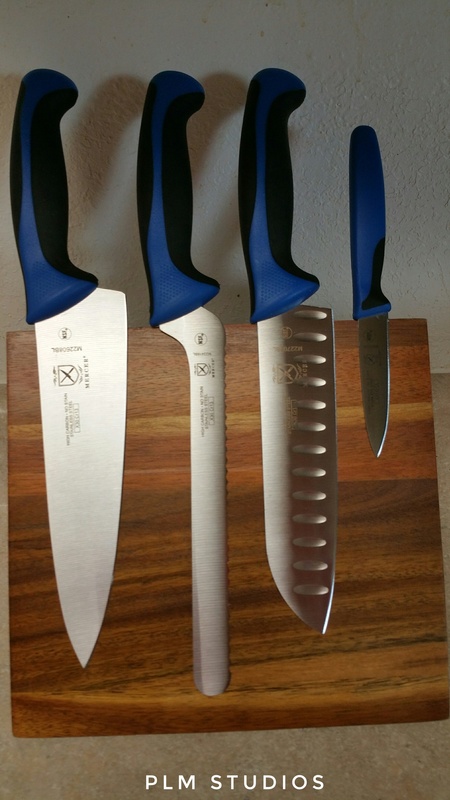 I hand picked only the knives I thought I would use the most and bought the magnetic wood stand separately. These are phenomenonal. They are not cheap knifes, but then the quality is superlative. ALL THE PRODUCTS AT WEBSTAURANT.COM come with fantastic warranties and are an outstanding value. A great, sharp knife is one of the most basic pieces of equipment in your kitchen.